DMS-05757 45 Position EOC Vest Kit for a large local government. 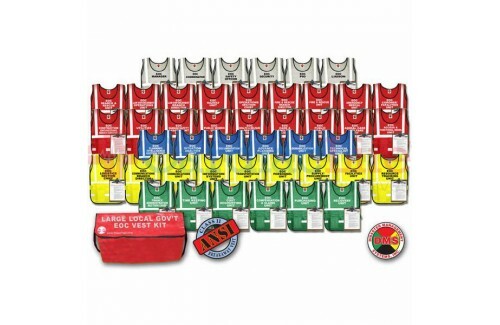 The DMS-05757 EOC 45 Position Vest kit for a large local government by Disaster Management Systems identifies the most up-to-date positions named within the National Incident Management System (NIMS). 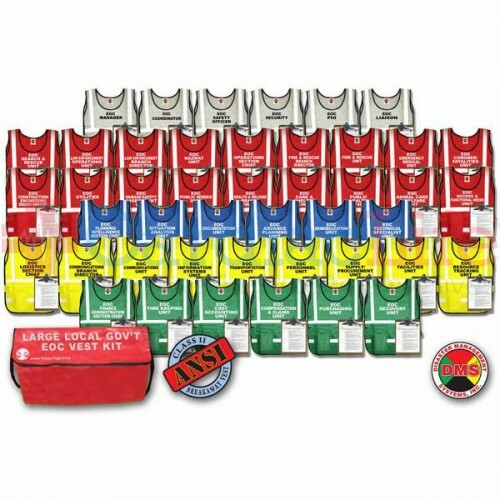 Each position Vest comes complete with a job action worksheet and all EOC and ICS forms.